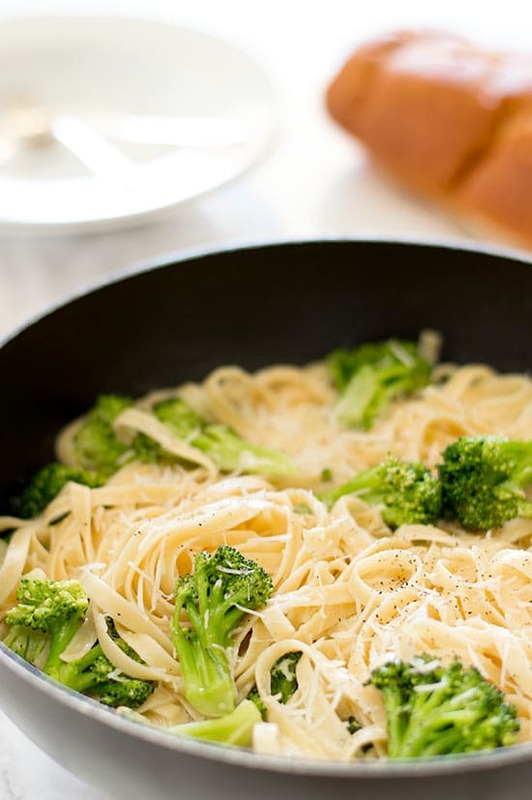 A lighter quick and easy fettuccine Alfredo with broccoli for busy Meatless Mondays, full of broccoli and cheesy Alfredo goodness! 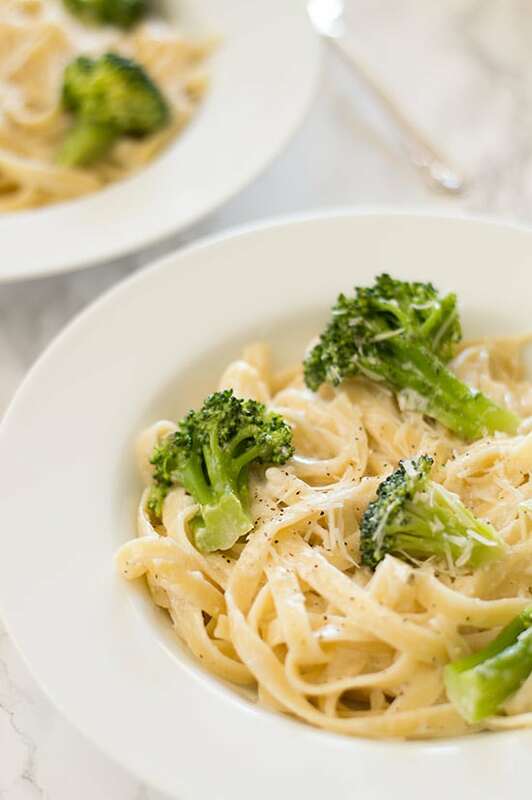 We’re going to finish of our March Meatless Monday series with some more comfort food, Easy Fettuccine Alfredo With Broccoli. Who doesn’t like Fettuccine Alfredo? Seriously, I don’t think I’ve ever met someone who isn’t a fan. I mean, what’s not to like. It’s creamy, cheesy, and delicious, aaaaaaaand, slurpy fettuccine noodles are just plain fun to eat. 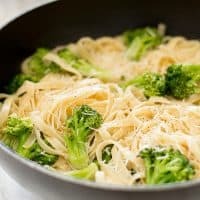 This version of fettuccine Alfredo with broccoli is one of my favorites because it’s meatless, so Meatless Monday approved, it’s made with half and half rather than heavy cream, so you don’t need to be rolled away from the table after eating it, and it takes almost zero time and effort to make. Two pots, 20 minutes, no knives required. Win, win, win. Oh and did I mention it’s delicious too? 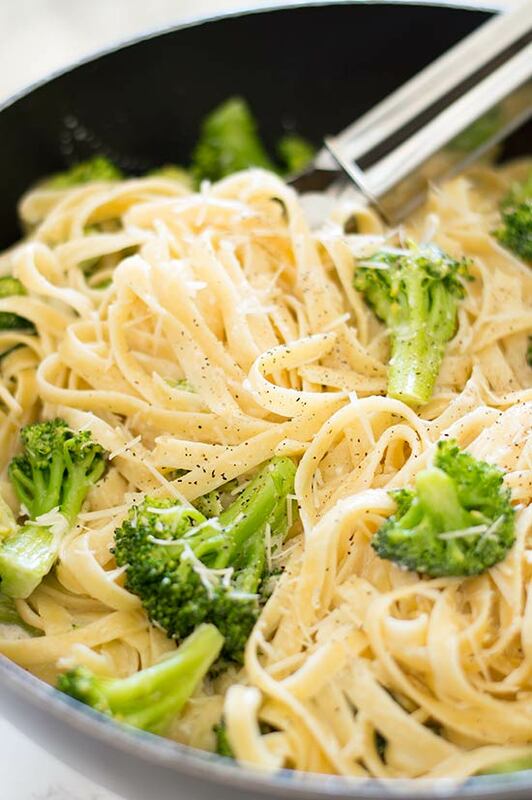 Broccoli and Alfredo were made for each other and this particular Alfredo sauce is fantastic. It’s slightly garlicky, cheesy, and just the perfect level of not-too-rich. Looking for more pasta recipes? 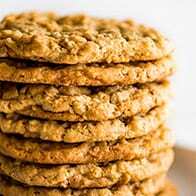 Scroll past the recipe for some of my favorites! Cook fettuccine according to package instructions in a large pot of generously salted water. Add broccoli during the last 3-4 minutes of cooking time and cook until done. Drain, return to pot, and set aside. While your pasta cooks, melt butter in a medium saucepan. Add half and half and stir. Allow to come to a simmer and cook for 5-8 minutes, stirring occasionally, until slightly thickened and reduced. Watch closely and do not allow to come to a full boil. Add garlic powder, salt, black pepper, cayenne, and Parmesan. Pour sauce over noodles and toss to coat. Serve and sprinkle with more Parmesan if desired. 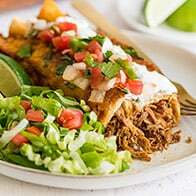 *You can substitute 1 1/3 cup low-fat milk and 2/3 cup heavy cream for half and half. This pasta is best eaten immediately, but leftovers can be greatly improved if you add a splash of milk or half and half and a small sprinkle of Parmesan (about a tablespoon of each per serving) before reheating and stir together once warm. Make-ahead Instructions: Pasta and sauce should be cooked just before serving. Broccoli can be cut up to two days in advance and stored in an air-tight container. Make sure broccoli is dry before storing. Recipe for Two Instructions: Recipe halves easily. For the cheese, half of 3/4 cup is 1/4 cup, 2 tablespoons. No other cooking changes are needed. Freezer Notes: This sauce and pasta does not hold up well for freezing. Easy Creamy Chicken Pasta with Bell Peppers – A rich and creamy pasta loaded with Parmesan cheese, chicken, and bell peppers, as easy as it is delicious. You don’t want to miss this one! 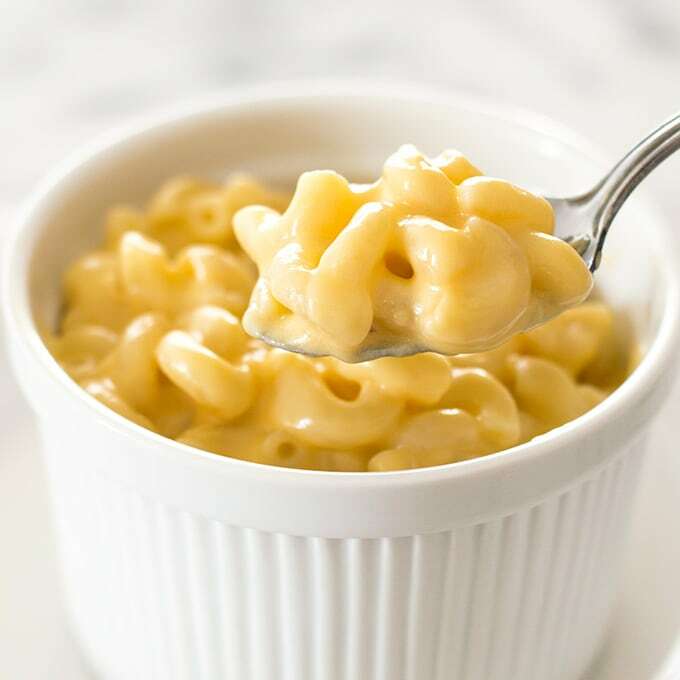 Quick Mac and Cheese for One – A quick recipe for mac and cheese for one. Easy, cheesy, and oh so good. 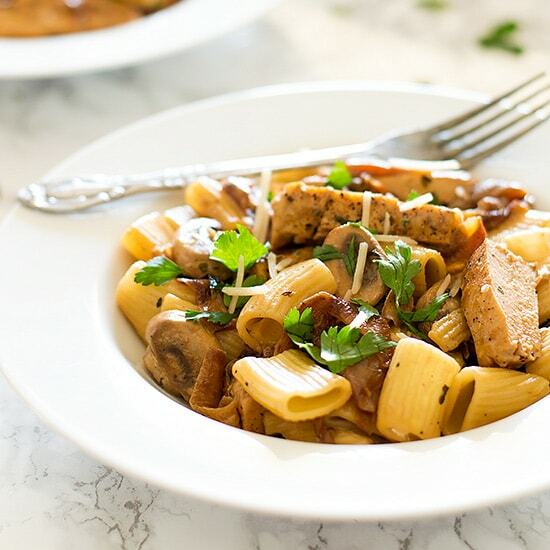 Lightened Up Copycat Carmela’s Chicken – Chicken, mushrooms, and delicious caramelized onions cooked up in a wine and cream sauce and served over rigatoni. A lightened up version of the Macaroni Grill favorite. 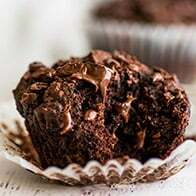 Delicious and easy are the best recipes! Looking at the photo I could almost taste this dish! So good! You are literally killing me here. My husband and I are on Phase I of the South Beach Diet. No carbs, no wine, no fun. Ugh! 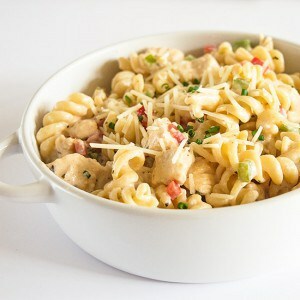 And then you go and post alfredo… like a wicked, sabotaging frenemy. LOL! Great recipe for some comfort food there. I love using simple ingredients in season like this. You had me right there with CHEESY goodness! That look absolutely delish. Bet my family would love it! Right!? I’m such a gonner for anything cheesy. Glad to know I’m not alone in that. 😉 Thanks, Kylee! This looks so creamy and delicious. My son loves broccoli. I’m going to make this for him soon! Thanks, Lucy. I hope he enjoys it! You know what, Alredo would definitely have to be my most favourite sauce and yet I’ve never actually made it myself. That’s going to change tonight! 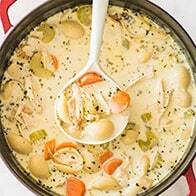 Will be loving that creamy, cheesy garlicky goodness in t-minus 8 hours and counting! I was in the same boat until a few years ago. When I finally gave it a try, I was like, why haven’t I been making this forever? It’s so easy!! I hope you enjoy it, Laura! I made this tonight, and the sauce was completely loose, not thick at all. I cooked it for 8 minutes at a simmer, never letting it boil per the instructions. Isn’t there usually flour in alfredo sauce to thicken it? 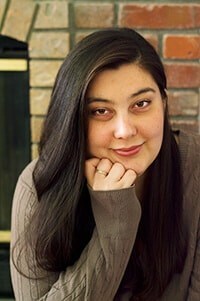 Hi Coleen. This is definitely a thinner sauce since it uses half and half. Traditional Alfredo sauces don’t use flour, but they do use heavy cream and more cheese, which will give you a thicker, heavier sauce. If you want a really thick sauce like you find in some restaurants, you can absolutely make one with a roux. If you google “Alfredo sauce roux” you’ll get a ton of super thick sauces that might be more what you are looking for. Hope that helps, and sorry this recipe didn’t quite work out for you! Do you use fresh broccoli or frozen broccoli?? Hi Amy, I always use fresh, but you can use frozen broccoli too! Just cook it according to package instructions and toss it in with the sauce and noodles at the end.